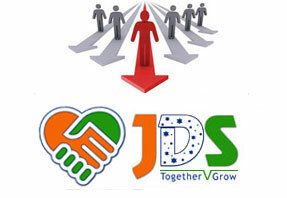 We at JDS Food Products Pvt Ltd work as a team collectively, bridging the gap between the two cultures in our manufacturing plant, so that all are pulling the rope in the same direction. The plant culture is fueled by productivity. The plant workforce is labeled as the manual unskilled laborers who require constant supervision to �stay busy.� But today the manual workforce at our environment has been replaced in all areas possible to reduce labor cost, improve efficiency, and increase outputs. We implement the system of team principles. Merge: Constantly create teams that intertwine the two cultures by having members from both groups. We find most have the same objective of improving the company�s performance while improving their status in the work place. Engage: Allow our office team to get out on the plant floor to meet, greet, and develop a good understanding of the overall process flow. The same is followed for the plant team to understand the requirements from the administration team, Walk through the office explaining the different groups and their functions. Respect: If the operator does not complete the task at hand in time, accurate, and safe manner, the plant will suffer. Our founder shows respect to all team members and teach the entire team that respect is the cornerstone of this business. Sprawling in an area of 70000 sq ft in Kanchipuram, Tamilnadu, India, the company has a built up area of 40,000 sq.ft. with complete Tile Flooring, RCC construction. The processing unit stands as a model for the ideal sophisticated food processing industry. Also an additional factory is being constructed in 12000 sq ft in near by location due to increased demand. The raw spices which come from different parts are procured with utmost care. Fully mature spices are hand-picked and thoroughly cleaned even for minute particles of sand & dirt. It is then uniformly roasted, blended and powdered to desired level to ensure that the best is delivered to the customers. The spice processing plant is equipped with the state-of-art size reduction machines, shifters, roasters and blenders. Automatic Form Fill Sealing Machines enables packing of the products in consumer size packs untouched by hands. Constantly educating the workers about cleanliness. Ensure periodical clinical examination of workers to identify and treat infectious diseases. Providing uniforms, head-gears and mouth covers to workers. Fumigation of processing premises and warehouses at regular intervals. Adoption of rodent & insect control measures. A clean washing/toilet facility located away from the processing unit.